Used 2014 Jeep Grand Cherokee Summit 4WD for Sale in Mt. Sterling KY 40353 Joe Oldfield Used Cars Inc. Very nice, loaded up 2014 Jeep Grand Cherokee Summit! Clean Carfax report! 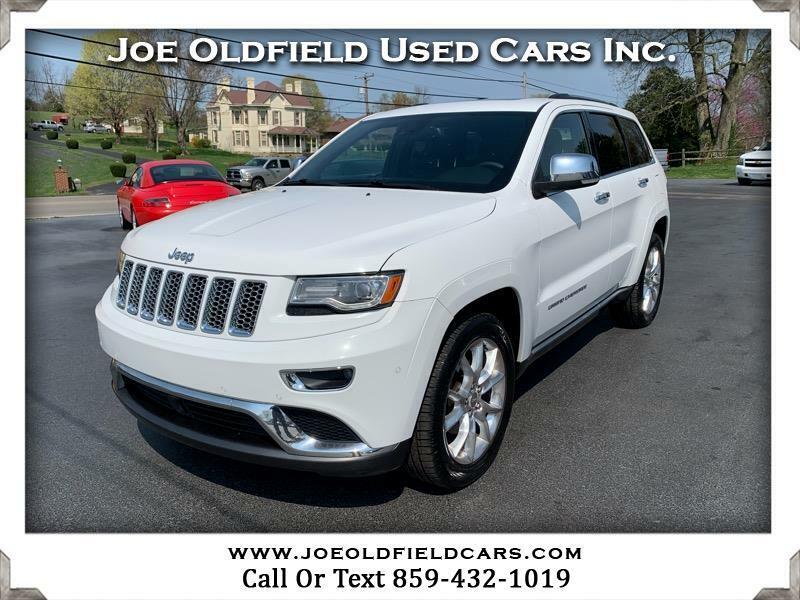 This Grand Cherokee comes loaded with options such as 4WD, navigation, backup camera, ride control, all power options, touch screen stereo with CD/SAT/USB/AUX/Bluetooth, pano-sunroof, Weather Tech floor mats and many more! I personally drove this Jeep for a few weeks and I will say that you would never be able to tell that it has 155,000 miles on it! Please call for more information or stop by to test drive! We also offer great warranty and finance options!